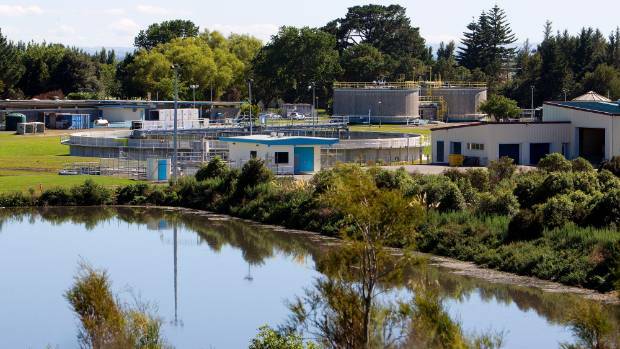 "Flushable" wet wipes that do not break down have hastened the demise of a couple of Palmerston North sewer pumps. Two pumps at the Maxwells Line wastewater pump station are being replaced several years earlier than planned, at a cost of $100,000, because of frequent blockages and unexpected breakdowns. City council water and waste services manager Robert van Bentum said the new pumps would be less prone to clogging. Wet wipes that make it to the Totara Rd wastewater treatment plant have to be dumped at the landfill. He said many blockages were caused by wet wipes and other tissues strengthened with nylon or plastic thread that made them different to toilet paper. They did not break down, and tended to get hooked up with other solids in the system, creating obstructions that led to "fat bergs", jamming the pipes and pumps. The pumps were set up to automatically reverse in an attempt to clear blockages, but it did not always work. "It's more than just nuisance value to have to take a pump apart to unclog it. It takes time and money." Van Bentum said a wide range of wipes were only "flushable" in the sense that they disappeared down the toilet and people did not see them again. But even after making it to the wastewater treatment plant without getting snagged, the wipes that were caught on the screens had to be taken to the landfill for disposal. They were not biodegradable and there was no hope of using them to make compost. He said he was working with Water New Zealand to help lobby for changes to packaging to ensure consumers knew the wipes should not be flushed. Water NZ co-ordinator of an advisory group working on the issue Lesley Smith said problems caused by wet wipes in sewerage systems were common around New Zealand and the world. The group was working with the Food and Grocery Council representing manufacturers and suppliers to encourage better information for shoppers. She said people generally did not know that things like baby wipes, kitchen wipes and facial tissues should not be flushed. "If they do not block up the drains at your own house, they can block pump stations, and then there is a risk of overflows and emergency discharges of sewage into stormwater systems, streams and rivers. "The main message is that only pee, poo and toilet paper should be going down the toilet." The two new Palmerston North pumps would cost about $22,000 each and cost $23,000 each to install. The money to pay for them would have to come from a budget that had been earmarked for laying more new wastewater pipes.